So, today we're going to talk about my favorite thing: thrift stores. As you know, I consider myself a true patron of the thrift, a master of the bargain bin. I didn't really set out to become such a person, but when I realized that it was going to cost me thousands of dollars to decorate my house, and then realized that I had about fourteen dollars, well, I decided just to make the best of the situation. So, I began thrifting. (with the exception of this). And then of course, I started this blog two years ago, and everything just kinda fell into place. I could expand that paragraph into a 400 page novel, but I won't. Just know that from limitations comes creativity, so don't be discouraged if you find yourself in a similar spot. Ever since I wrote this post last year that went viral, I've gotten tons of questions about how I find such great stuff at thrift stores. I don't have any magic formulas, but I've definitely learned some tips over the years that have helped me find stuff that I wouldn't have been able to afford or find elsewhere. So, today I thought I would share just 10 of my favorite thrift store shopping secrets, in the hopes that it will help you, too. nice area = nice thrift store. 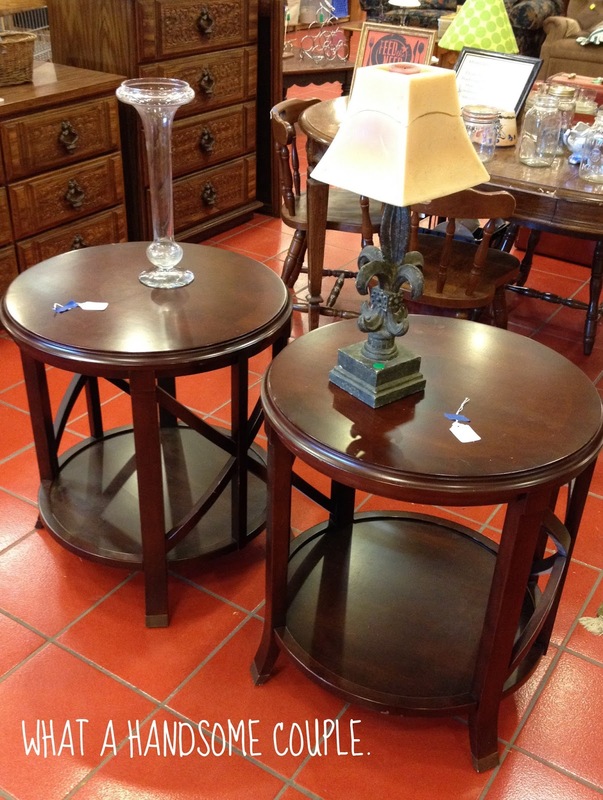 For example, I went today (to a nice-area-store) and found a bunch of stuff, like this set of end tables originally from Bombay. I think they were $15 for the set. I also found a great Bergere chair for $8. Chairs with cushions like this are pretty easy to reupholster and I thought this one would look really great in just about any updated fabric, maybe even something like the fabric I used here. The wood was in really great condition, but could easily be painted, too. I also found this piece, which was almost perfect the perfect height for what I've been looking for (for our tv in this room), but it had a broken leg that was beyond the point of my woodworking-skill-level-of-zero. Sidenote: That elephant planter totally mesmerized me. I stared at it for 5 minutes wondering if it was absolutely amazing or absolutely hideous. I kinda just wanted to buy it to put random stuff in it....like socks or catfood or remotes. Let me introduce you to an awesome website. Next time you want to find a new thrift store in your area, or anywhere else, just enter the zip code on thethriftshopper.com. It tells you all of the stores listed in that area, complete with their hours, location, how to sign up for their mailing lists, and even reviews from other shoppers. It's kinda awesome. #3. Venture outside your comfort zone. It may sound crazy, but I love to thrift on vacation. I have no idea why, but I tend to find really cool stuff every time I do. I've never purchased anything big, but if we have our car with us, I might score a few small items that I love. We went thrifting while we were in Florida (as I mentioned in my vacation post), and I definitely found a few great items that I've never come across at home. I brought home a ginger jar, two milk glass vases, a silver champagne bucket, and three bronze wine glasses. I scored the bronze glasses for a dollar each. And they were a great little addition to my colorful kitchen cabinets. Btw, thank you guys for all your for amazing coffee suggestions on Facebook. It took me 85 years to get a fancy coffee machine, but it was worth the wait. 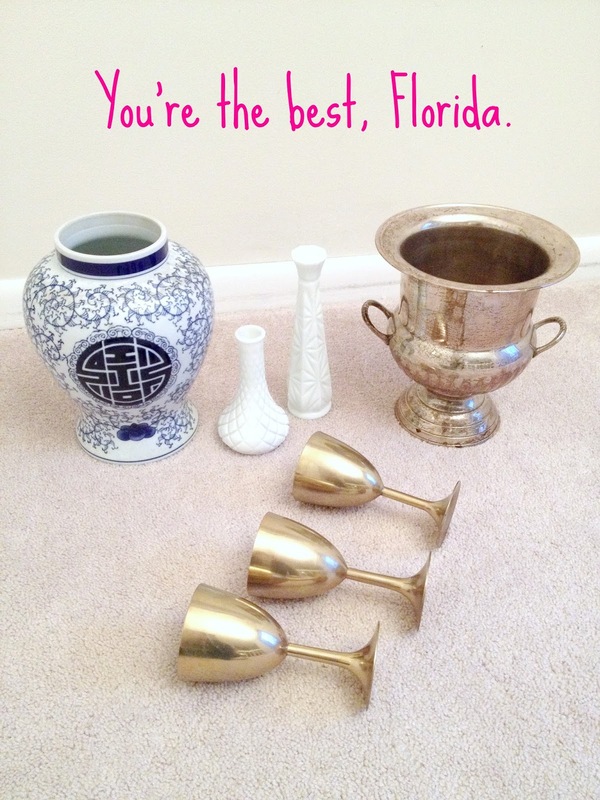 The silver champagne bucket was my favorite Florida find. I've been looking for one to use as a planter for awhile now, and was so excited to find one for just $10. And it totally inspired me to get my first Orchid, which currently resides in the office, and which I'm sure will be dead in a week's time. I swore to him that if he came to live with me, I would keep him alive. But, I'm already getting nervous after the situation with Vern's friend. Any tips? As a rule, I find the best stuff when the seasons change. It's the time when people clean out their house and give stuff away. Just after the first of the year is a great time, too. Not only is it the deadline for making donations that you can write off on your taxes, but it's also right after the holiday season when people have bought tons of new stuff and are shedding the old stuff to make room. Hint: If you are in the mood to clean out your house, it's probably a great time to thrift store shop because everyone else is cleaning out their house, too. I found most of the stuff on my mantle in the first couple months of Fall, and the thrift stores were absolutely packed with stuff around that time. The ginger jar, gold frame, and mirror were all found there. That's a fake orchid. And no, I don't feel any more equipped to raise a real orchid after living with the fake one for a bit. Here are a couple more items I saw when I checked out a few stores right after New Years. I thought that frame was a great find. 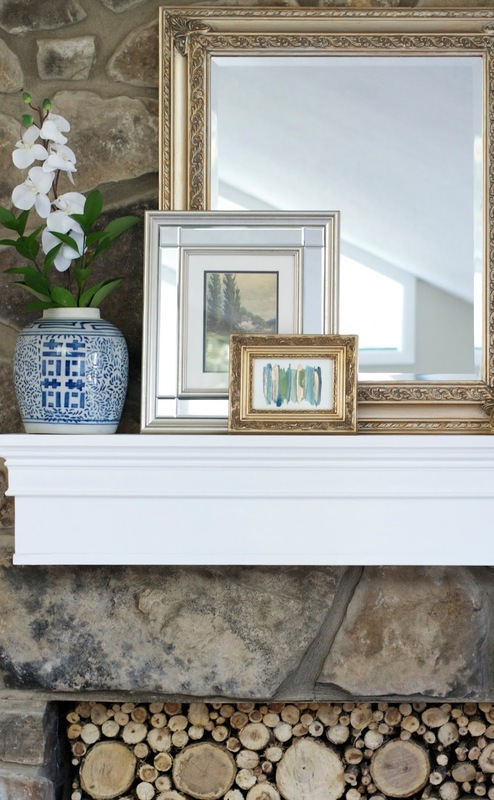 You could have a piece of mirror cut to fit it, or you could use it to frame a great piece of art. I actually ended up buying this little green flower painting that I found for a dollar. It was framed in a simple wood frame that I painted gold. But, sidenote...can we just take a moment to appreciate the pineapple? He seems like he has a great personality. My little painting is really thriving in the kitchen these days. Some days are definitely better than others when it comes to finding great stuff in a thrift store, and I find out by talking to the store employees. They are a total wealth of information. In our area, most stores tend to get their new donations on the weekends, and then they take 24-36 hours to process it. This usually results in Monday, Tuesday, and Wednesday being the best days. The exception to this rule (locally) is Goodwill. I go to Goodwill on Sunday because that's when they announce the color of the tag that's going to be discounted for the week, and that's when all the good sale stuff first becomes available. Usually by Monday morning, most of the good stuff that was discounted is already gone and it's just junky stuff left on sale. Our Goodwill also runs sales for 50% everything on the first Saturday of every month. Basically, just ask the employees when new deliveries arrive so that you can have a chance at the best stuff. Here are just a few of my finds that I've been able to score because I knew which days were best to shop. All of these I was able to get the minute they were brought out onto the floor. I got this mirror for just $10. Total fave. And this really great navy vase for $8 that I sneak peeked on Instagram. And then this really great mirror (that ended up in the post about the dresser I painted back in December). Also, just yesterday I found this little guy for $4. He'll likely make an appearance on the silver leafed vanity in an upcoming post about the bedroom updates. Great merchandise moves fast in thrift stores. Sometimes it's sold the minute the staff sets it out on the floor. So, the more you go, the more you find good stuff. I do a quick 'pop in' a couple times a week at key times, which means I quickly dart around the store for about 5 minutes to see if there's anything there. For example, I went to my favorite store on Friday and didn't find a thing. Then yesterday, I went in and found this little gem for about $5. I've been wanting a garden stool for ages, but could never find one under $100 even at discount stores. I'm thinking of spray painting it to look like this, but I'm taking a minute to ponder it. Not all stores have an email mailing list, but if they do, it's a great way to find out about sales or special promotions. For example, one of the local stores has a 50% Off sale every couple of months, and they usually send out an email announcing it. There's also a couple small thrift stores in our area that actually send out a weekly email with photos of their stuff, like this chair. Or these really great lamps. Either would be amazing with a modern shade. 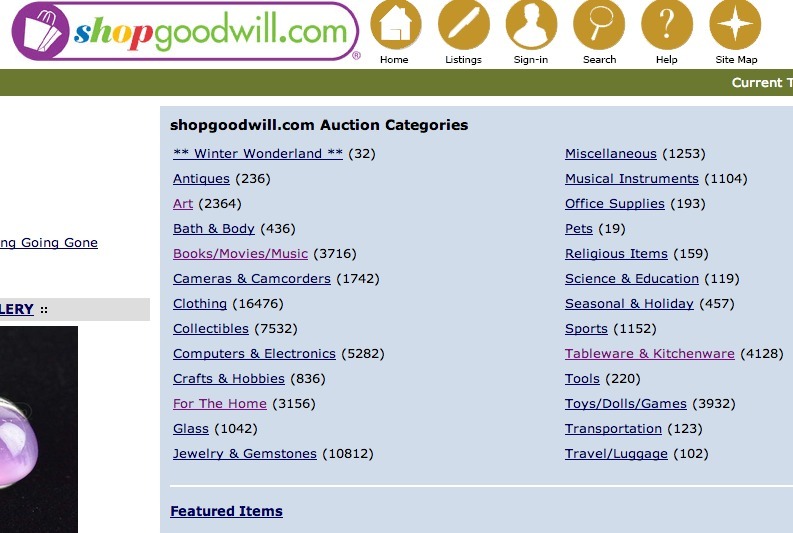 Did you know that you can shop Goodwill online? They list tons of their best stuff on their site, and all at great prices. My favorites categories are the art, home, and tableware sections. Goodwill also has a totally separate site just for books. I've mentioned several times on this blog how I always look at the book section every time I go to the thrift store. I'm constantly using pages from books as cheap art (like the horse situation), and you can really find some great stuff. You can visit the main Goodwill site here and the Goodwill Books site here. This may not exist in your area, but if it does, get excited. Our local schools issue school coupon books once a school year. They cost about $10 each and have a crazy amount of coupons inside. I usually buy one or two every year, for the sole reason that there is usually 2-3 coupons inside for thrift stores. And some of the coupons you can even re-use once a month. For example, our book has a re-useable coupon for 20% off your purchase at KARM (one of my local faves), and one for 25% off at Goodwill. Basically, it's saves me tons of money when I thrift, and there are also tons of coupons for free burgers and milkshakes. #10. Don't take it too seriously. Thrift store shopping should be fun. And you shouldn't be spending tons of money or turning into a famous A&E hoarder. If you're doing either, you should probably sit down and nibble on your thoughts for a minute. And if something you bought breaks or doesn't work or turns out to be a terrible lapse in judgement (been there, girl), just high five yourself and shrug it off. You paid 99 cents. It's okay. For me, the goal is simple. I love finding things that have seen better days (but have tons of potential) and thinking about how to make them amazing again or how to reuse them in a different way. And then I do it, and save tons of money. Because rather than spending thousands of dollars on all new stuff, I've been able to repurpose a lot of old stuff that's ended up being pretty cool in the end. And my hope is that this blog shows you that you can do it, too. That's all for today, ya'll. Thanks for visiting my blog today. Ya know I mean it. here, here, and (the best one) here. And I'll be back soon to share my 10 spray paint tips, my favorite project yet, the bedroom reveal, and the craziest thing that's ever happened on this blog. Ever. Great tips! I would also add that you should look at anything you are buying in bright light, and take your time to decide because even if it's cheap you still want to only buy quality items, don't settle! Your tips are fantastic! And that little mirror! I have been looking for something just like that. And really, just once I would love the satisfaction of my husband asking for something and me telling him it's "in the elephant"! Hilarious! Wow! I feel like I just took a crash course in "Thrifting 101"! So much great information to glean. 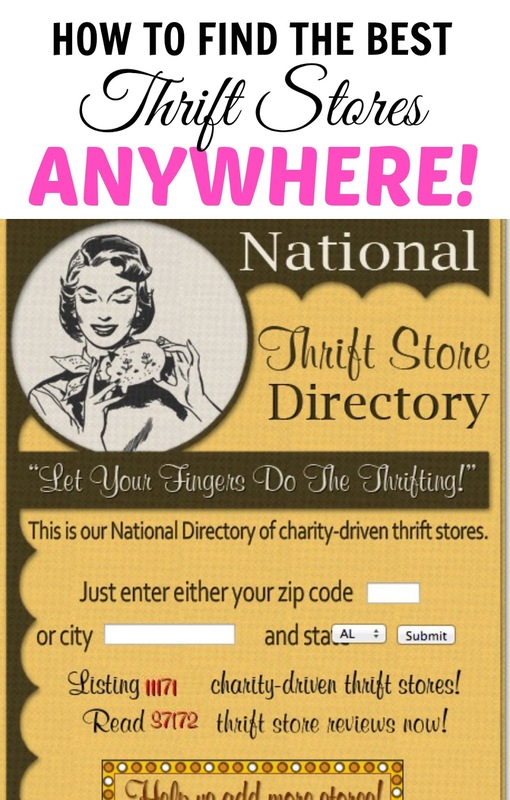 I especially appreciate the info on the National Thrift Store Directory. I had no idea. I'm so ready to get my thrift on! Girl the thrift stores around here must read your blog! I can't even find junk art (for the frame) for less than $30, say what? I've even seen them upwards of $75-$100! That's cray. I love your tips! Keep them coming! Orchids are very low maintenance. You only have to water them once a week with very little water (like what would fit in a shot glass), if you water it too much or too often the roots will rot (I'm speaking from experience). There's also some special orchid fertilizer (is that the word? anyway, it's supposed to nourish the soil it's in). Also, the flowers will fall at some point, but new ones should grow back if the leaves are still green, although I'm not sure in how long it takes for that to happen. Also, don't place it near any sources of heat, I used to keep mine on a windowsill, above a radiator, it did not like the dry heat in the winter months, soon as I moved it, it started coming back to life. orchid caring tips: water sparingly, I water mine every two weeks or so, when I do, I soak them in water, meaning, I completely submerge them (just fill up the flower pot they're in) and leave them like that for a couple of hours, so they can soak up a lot of water. Then I remove them. Then I leave them without water for a couple of weeks again. When they finish blooming, I cut the stalk at the third or fourth "knob" from the bottom. I hope these tips work for you as well. I've had my orchids for 11 years and so far all have survived! My in-laws live outside of Tampa and when we were there last, we headed to a flea market near them. The things that I saw were so much more interesting than anything that I have ever seen at home. Sadly, we were flying back and I couldn't buy one of the amazing chandeliers or a lot of the really great stuff. There is just something about Florida. Also, I could only see the elephant for the longest time in that picture. I need him. I think that I would put some kind of plant that tends to hang down a bit in there. Though I do like your idea of just leaving random objects in it for the sole purpose of telling people that they are in the elephant. Ahhh! Love the elephant! Also love the buffet it's on! My SIL got one (exactly like this one!!) at Salvation Army on sale for 75% off so I think it came to somewhere around $35. We painted the hardware with black hammered metal spray paint, and painted the buffet a deep burgundy red and it looks amazing in her dining room! It was a tv stand for a while but doesn't fit in her new living room :(. 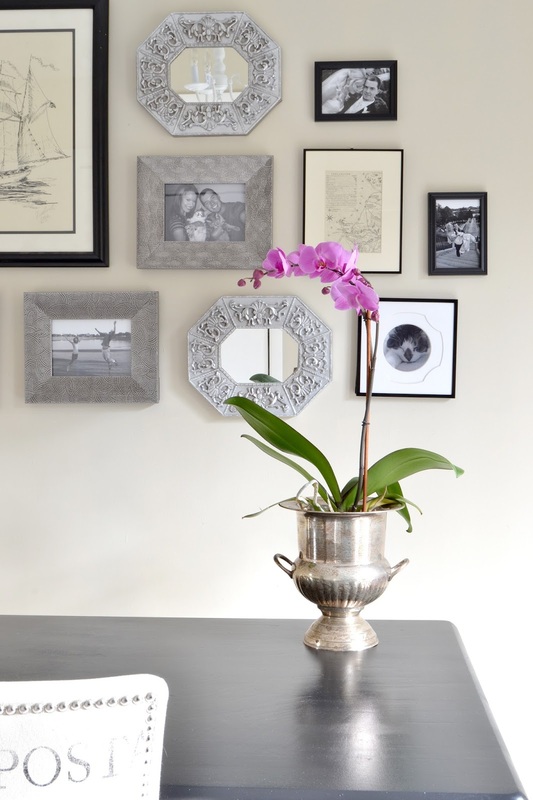 http://www.beautifulorchids.com/orchids/orchid_care_tips/faq/frequently_asked_questions.html Lots of Orchid tips! I love mine! I seriously laughed out loud at the picture of the coupon for Goodwill! I used to work at First Tennessee when I lived up in Johnson City, and had lots of training classes down in Knoxville :) I found that the GWs in East/Northeast Tennessee have much better prices than the ones down here in Tallahassee. It's gotta be a demographics thing- they're also more plentiful down here it seems. Wow you are here in East TN! I thought the KARM stores seem really high. (We just moved here).I noticed that lots of places referred to coupon books but had no idea what they were about.Is it the PTA that sells them or how do you buy them? Awesome list!! Love the website hook-up, totally going to have to check that out. I have to say though, your prices have way more score potential than the ones I see here in California. 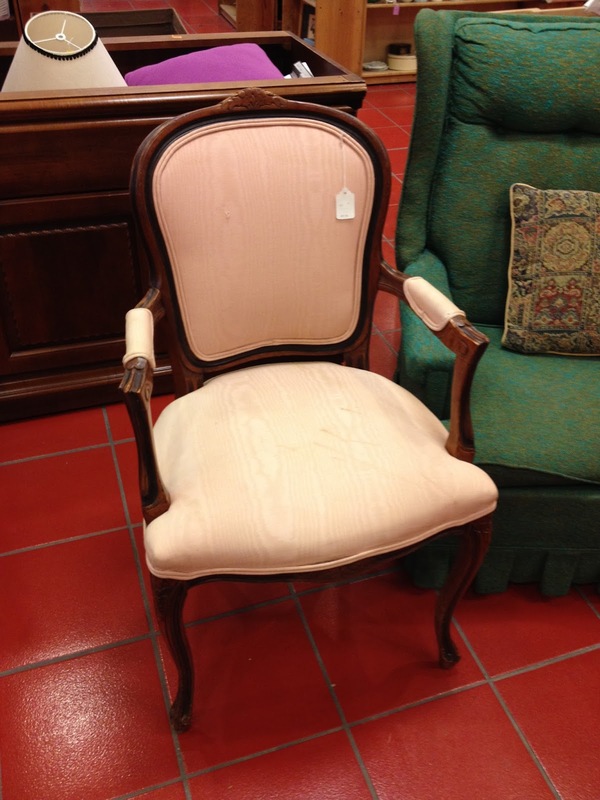 That lovely pinky/beige $8 chair would easily be priced $20-$25 here. I know because I've been desperately searching for a chair to re-upholster and hang my head in sadness every time I get to the price tag. There has to be something wrong with it (broken leg, damaged wood, etc.) to make it come even close to a 10 spot. Is it just California?? I don't even live in a rich area like Rodeo or Santa Barbara! We're in a pretty small town... maybe I have to try even smaller towns, like where the roads are dirt or something... but anyhoo, I keep looking! Hopefully your tips will make all the difference and I can start thrift surfing the internet and find out when the real deals hit the floor. Thanks again for another great post! Oh, wanted to add one more thing, maybe when you do a furniture thrifting post or something-- be sure to take a good SNIFF on the insides of drawers when evaluating a purchase. I didn't and ended up with a very lovely but very stinky smoky icky desk in my house (this would be Lil' Vern by the way). Luckily Killz primer solved the problem but it was not something I had anticipated when I bought it and I probably would have bargained down the price a bit if I realized I was bringing home an ashtray disguised as a cute curvy desk! Thank you for tip #2. Bookmarking that page. We just moved so funds are low and there is need for more furniture so I want to thrift what I can but I had no idea where to start in finding thrift stores to begin with - except the yellow pages! Wonderful post! I didn't know there were so many thrift shops in my area until I searched my zip code. Excited to start searching for treasures! That's so awesome! Thank you! Great tips! I'm really going to have to follow the "thrift outside of my comfort zone" more often. I live in a small city, home to a major university and there are about 5 places to thrift shop! I am NOT kidding. We have a Goodwill store that is laughable. My hubs is always game for a road trip, so guess we'll be traveling thrifters. Thriftin' ain't easy (tee hee). Seriously, these are some great tips. I live right beside a great thrift store *swoon, I know* AND it's sister store is on the way to the sitter's. Both have very reasonable prices and awesome stuff. I found an old-school wooden school desk and chair for $10. Have done absolutely nothing with it...still waiting for inspiration, but couldn't resist. And I've found 2 lamps, both for $2.98. 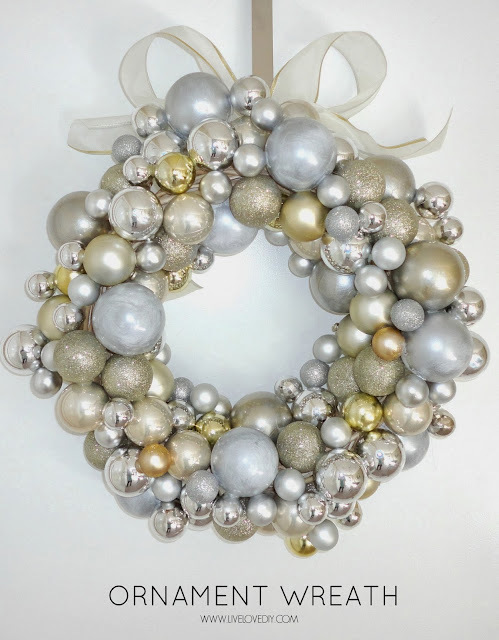 Stop by my site www.crystal-blake.com and check out what I did with one of 'em. Totally would have dropped everything and bought the elephant. Would have done him up white with blue like a piece of Willow ware, and planted a palm in him. It's so fun when you say: where the heck did this thing come from???" I live in an area where thrift stores don't always have the best stuff - but I would have died if I saw that big intricate frame for sale - chalkboard, anyone? Great finds! This is the first post of yours that I've read, and you are a great writer, picture taker, and decorator. OMG. I'm in love. Subscribed in all ways so I never miss anything from you! Thank you, Sarah! That is awesome!! I wrongly assumed I'd know all these thrifty tips-- that website! How helpful! Another thing I like to do is go thrifting with a buddy. We switch off whether we go near her house or mine, and have our favorite routes to take, plus we know each others tastes so we can go through stores even faster! THANK YOU for tip #2. Being an avid thrifter I have been sad since moving. I moved from Springfield, MO (which has lots of great thrift stores) to a new state and have only found a Goodwill (which isn't all that great) This website will make my life so much better. Great advice! I can especially vouch for the value of #3 -- before heading off to London a couple of years ago, I did some internet research and found some thrift stores to visit, and when my luggage didn't arrive with me, I had my handy list as an economical alternative to find some appropriate theatre-wear for that first night in town! That took me to parts of the city I'd never explored before, and led me to some other great little shops and cafes. Definitely helps to get one away from the 'touristy' areas on vacation. 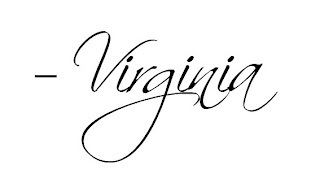 Virginia, you have a way of saying things that make it interesting. Thanks for this great information. Who knew you could find all the thrift stores through a website? Love your style. I stumbled onto your blog over the holidays, and ended up reading pretty much every post! Just absolutely amazing!!! This is the first blog I have ever came back to and read again and I think im addicted now! I left my job to stay home with our girls and we have really struggled transitioning to this new lifestyle and I have recently started buying second hand and having to get creative and I just wanted to say THANK YOU for all of these awesome great tips!!! I love all your finds but really like the chalkboard inside the cabinet doors! Seriously. I love you. I have become addicted to your blog within the past month! I rent so I obviously don't want to spend thousands on stuff, or even hundreds on things. Plus, I have two small kids (like two below 4) so anything that I get can't break the bank. Your blog has inspired me to redecorate my whole house! Thank you so much for sharing your awesome wisdom. Oh my do I ever love your blog. Not only are you a fantastic writer with so much personality, but you have great ideas...and to top it all off, you wrote back to my personal email asking for HELP!!! You are fab! 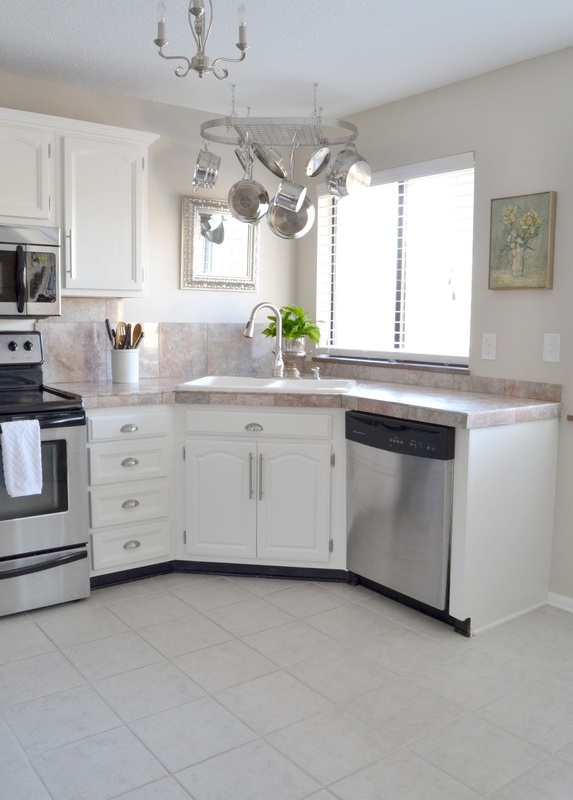 Thank you for staying personable :) And thank you for all the great tips for the house! P.S. that chair up there, the first one, oh how I love it! I am currently looking for one very similar. Wow!! 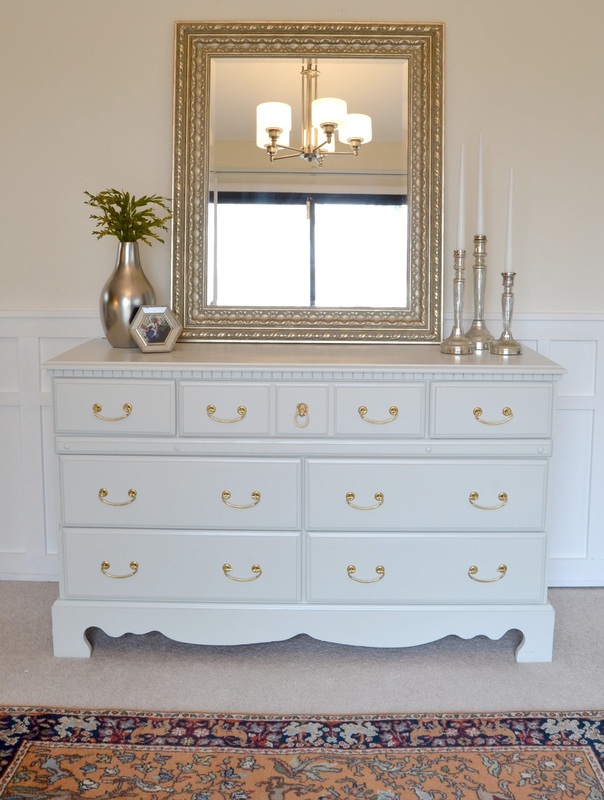 You just inspired me to refinish that million year old dresser that's been in bedroom since forever. You know the kind. 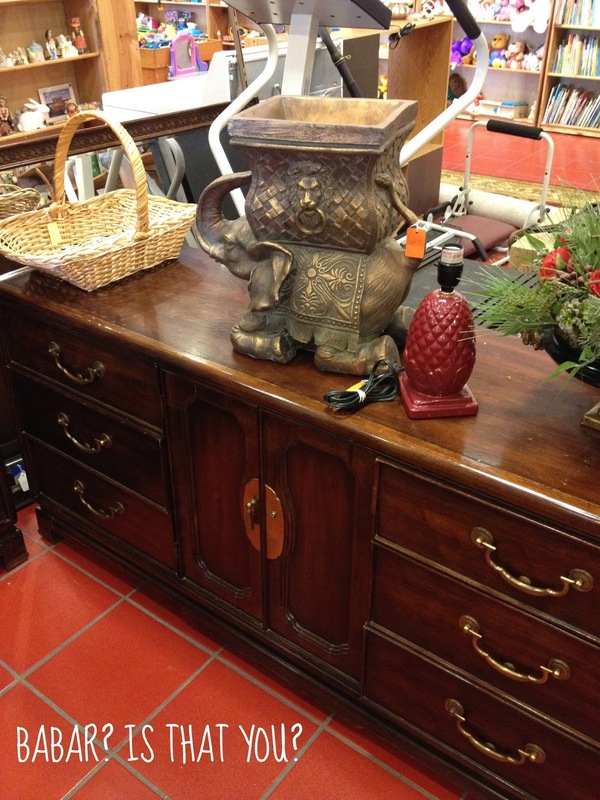 Big giant drawers with the grooves and fancy carvings. Just need new handles and wood stripper. Maybe I will just paint it white, just to make it look all girlie and stuff. You're so very welcome, Mary! That will look awesome! Great tips Virginia!! 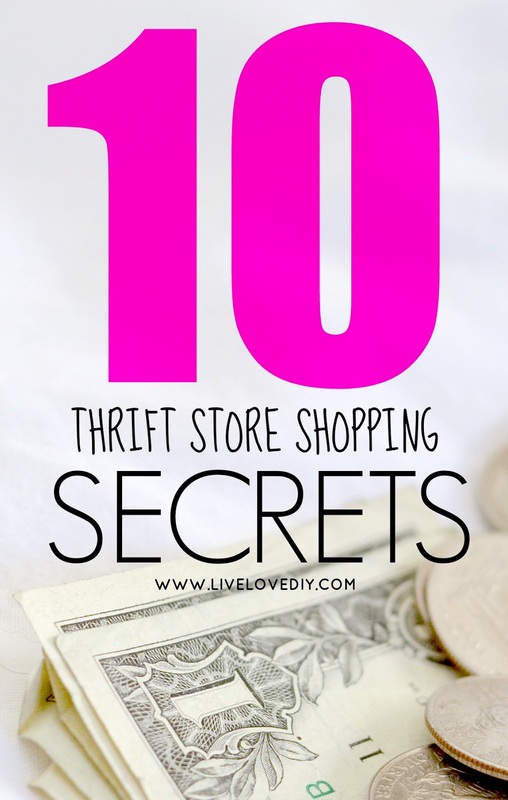 I'm a total Thrift Store maniac and I have found that all of your tips are soooo true! I featured your Article in my Newsletter this week! Hope you get LOTS of new readers! Have a blessed weekend! Holy crap you are hilarious AND thrifty. Girl after my own heart. Not to mention you put furniture through several rounds of paint hell. As do I. Love your blog. First time reader, but shall definitely return. I noticed your coupon book is Knoxville. I, too am from that area and your tip on Nice area = Nice thrift shops is so true(ie...Farragut). Love your blog. I'm so excited I found this on Pinterest! I recently moved to the area around Knoxville and I'm a thrift store/coupon fan from way back. I didn't know about the coupon books and can't wait until I get the opportunity to purchase one. And I sure don't know where the good places to go are yet, but I love KARM (they are literally everywhere and 100% awesome). I'm really excited about your blog! This is the highlight of pinterest tonight! OMG I freaking love you! 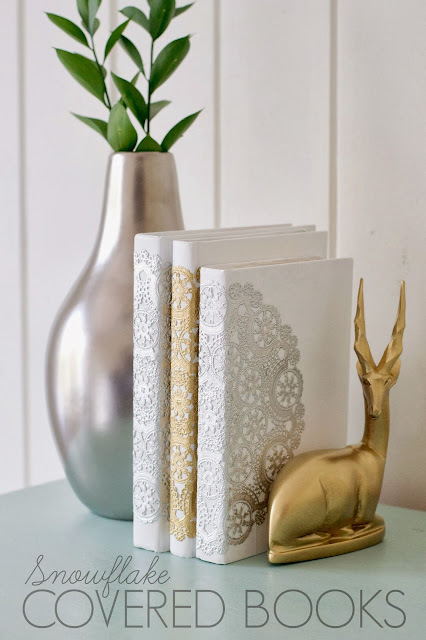 I just found your blog today and am already planning a trip to JoAnn fabrics to pick up some patterned fabric and unique stitch to make your no-sew envelope throw pillows and will be on the hunt for flat gold thumbtacks to make the canvass "&" art! I am new to DIY-anything really, but we are buying out first home and moving next month and I am on a limited decorating budget. However, I am determined to finally make this place feel like our own home, creating, thrifting, decorating, painting, etc. Out last 2 rented apartments were so plain and boring because I knew we wouldn't be there long and didn't want to invest the time. Now I can't wait to let my creative side flourish and know your blog is going to be a site I visit often! Thanks for being so amazing! red-blue; blue-white; white-green; green-yellow; yellow-red. I used to work there a long time ago, and they put out new things every day. However, on the weekends there's usually way less people pricing things in the back and those same people are usually taking donations also, which means they're pretty busy back there. So weekdays are probably your best bet there too! Originally came to read your tips as I do shop Thrift Stores as an artisan/potter. I gather old suitcases and housewares to upcycle/recycle. BUT your chalkboard paint in the cabinets are da bomb. I use sticky notes to remind myself where the seldom-used appliance parts are tucked. But love the paint much more...brilliant!! Thanks. Love this! My gw has the same sales, you don't happen to be in the Nashville area do you? I do a Nashville GW "vacation" the first Sat. of the month and have found some A-MAZING deals! Love all of your thrifted finds! Brand new reader here; so glad I found your site! I love, love, LOVE thrifting! I am much more restrained than when I started about seven years ago..... but love that I've been able to add to the vintage dishes I collect as well as affordably and eclectically decorate my home. I can't wait to fill my own blog up with my thrifted and rescued finds! Love your tips for thrift store hunting. I looked at the site to find a store in Farragut but I couldn't find one, I live in Knoxville would you mind sharing your favorite high end store? Great post! 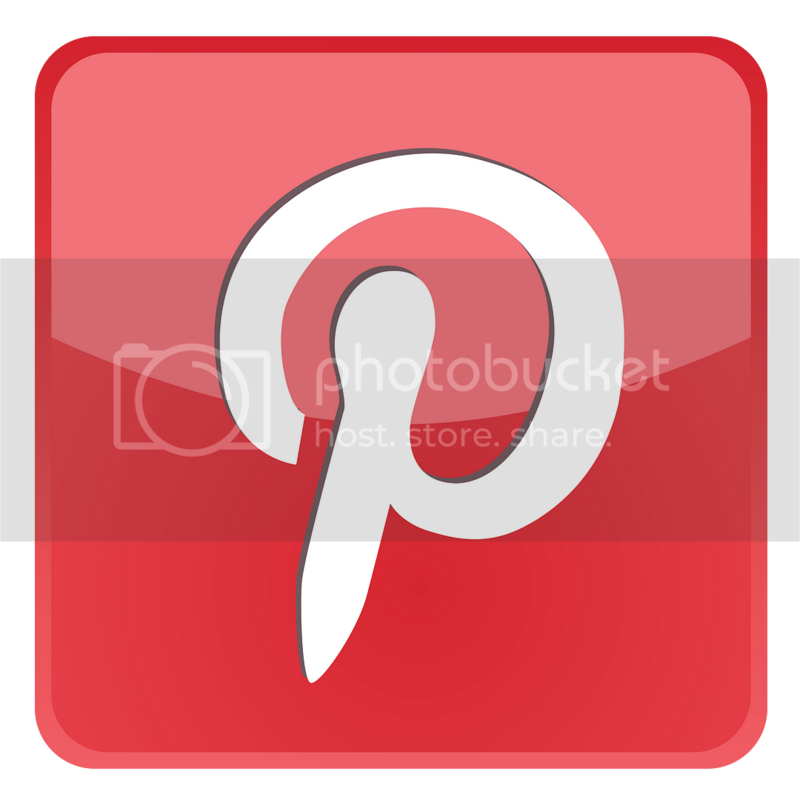 After stumbling upon your site via Pinterest I must say I love all of the insight that you shared. Thrifting is so fun and I feel even better that I am no alone in that I still hit thrift stores even while on vacation. I have come across some amazing finds that I cannot wait to transform. Thank you so much for sharing this post. Love your info... I have shopped over the years at the Goodwill in our area closest to me and got some great deals... I love it... You just reminded me to go back... Thanks!! !Great post!